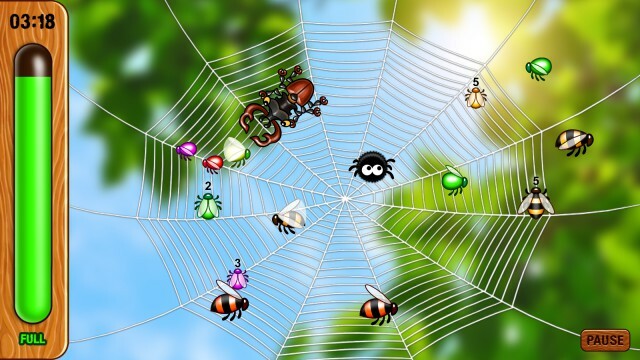 Hunger James by Senex Studio is a game about James the spider and his flies-hunting adventure to keep him alive. Help villagers getting back their occupied land and people. 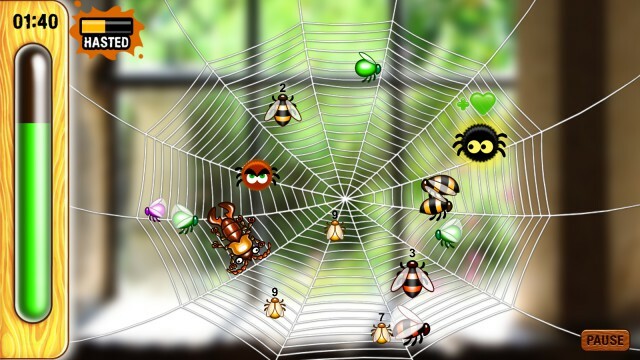 HUNGER JAMES is a game about a little spider named James who likes hunting flies. In order to win, a player needs to keep James well-fed and stay away from various enemies till the time of the round runs out. It is a fun game for all family, especially for children. It combines arcade and time management strategy elements. It has friendly and relaxing atmosphere while having enough action and excitement in it. 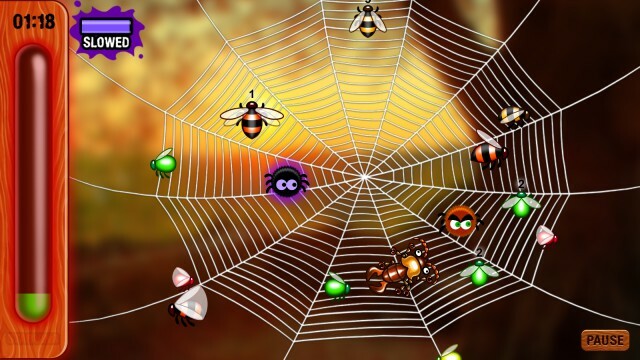 Hunger James can be classified as a survival game for a little spider, named James. The game starts out slow, though intuitive enough with the short instruction on what to do. Basically, eat the flies while trapped and avoid bees at all cost (if you are not buffed). Sounds easy? Yes, but not really in practice. James himself moves quite slowly. You will need to manoeuvre him to anticipate where the flies will and while, at the same time, avoid the buzzing bees. That's all? Not really! Subsequently, the game introduces players with buffs and debuffs. For example, there is a red fly that will make James go frenzy and allow him to destroy the pesky bees ala pacman vs the ghosts. There is also a buff that let you runs faster, or a debuff that slows you down. Again, this is not all! More things are to be found in the next levels. Go play the game and find out for yourself. Overall, the game gets more frantic in the latter levels - in a good way. However, it can use a more animated audio and visuals. The speed of James can be quite annoying and makes you want to keep having the quick debuff.